The Film London Jarman Award 2016 was won by Heather Phillipson. Presented by Film London and supported by Arts Council England, in association with Channel 4 and the Whitechapel Gallery, The Jarman Award is a prestigious annual prize which recognises and supports the most innovative UK-based artists working with moving image, and celebrates the spirit of experimentation, imagination and innovation in the work of artist filmmakers. Launched in 2008 and inspired by visionary filmmaker Derek Jarman, the Jarman Award is unique within the industry in offering both financial assistance and the rare opportunity to produce a new moving image work. Previously shortlisted artists include Duncan Campbell, Marvin Gaye Chetwynd, Luke Fowler, Elizabeth Price and Laure Prouvost, all of whom went on to be shortlisted for or win the Turner Prize. Each year one artist is selected from a shortlist of up to ten artists to receive a £10,000 cash prize. The award is additionally supported through an on-going series of broadcast commissions for Chanel 4's Random Acts strand. Nominations for next year's Jarman Award will open in early 2017. This year's shortlist was presided over by an esteemed group of art and film industry professionals. 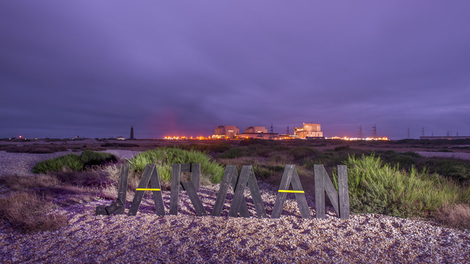 As in previous editions, this year's Jarman Award will be accompanied by a nationwide touring programme, profiling work by the shortlist via a series of events at major arts venues across the UK and culminating in a special weekend of screenings, Q&As and performances at Whitechapel Gallery on 19 - 20 November. With events taking place in England, Scotland, Wales and Northern Ireland, the tour offers audiences the chance to see a programme of new and recent single screen works, and hear from the artists in person. The tour will take place from 2 October until 20 November 2016, visiting 11 venues around the UK.